Actor’s union Equity purports to have achieved a world first, after agreeing a rights deal with the producer of an updated audio podcast of 70s cult sci-fi show Blake’s 7. Equity said its ground-breaking agreement with B7 Productions would guarantee performers a share of net revenues generated from podcast downloads as well as from audio streaming via the internet, and subsequent CD sales. Equity assistant general secretary Andy Prodger said the deal‚Äîwhich will allow the podcasts, recorded in December and due to go online in April‚Äîrepresented an “important first step in establishing the rights of members in this developing market”. 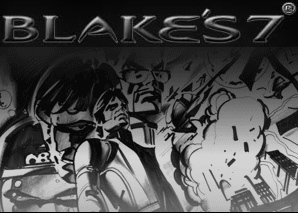 When the Blake’s 7 tv program originally aired on the BBC from 1978 – 81, it scored higher viewer ratings than iconic sci-fi show Doctor Who.¬† Blake’s 7 was originally conceived as a “Dirty Dozen” story, set in space.